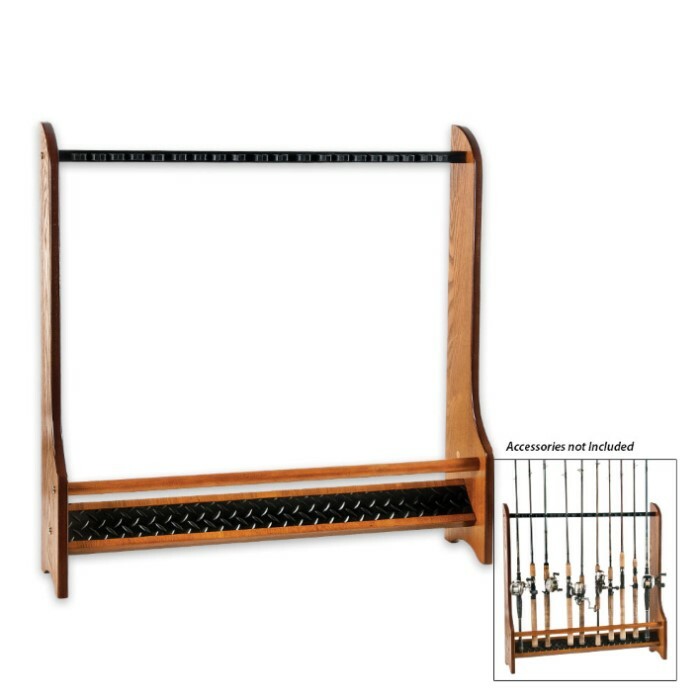 Oak Finish Floor Rack - 20 Rods | BUDK.com - Knives & Swords At The Lowest Prices! Organized Fishing offers a variety of innovative fishing organization products. The products are beautifully executed in natural woods in a variety of finishes to complement any decor. 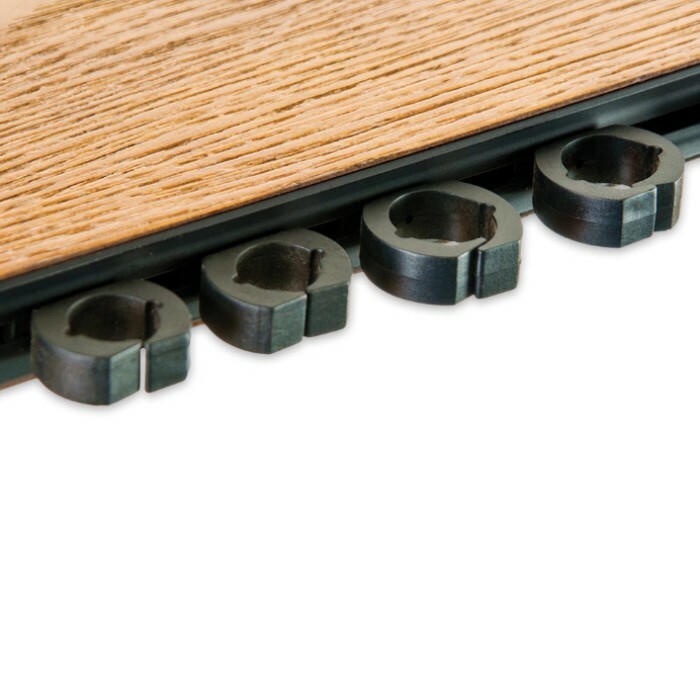 The Oak Finish Floor Rack features Organized Fishing’s exclusive “Track Rack” system. 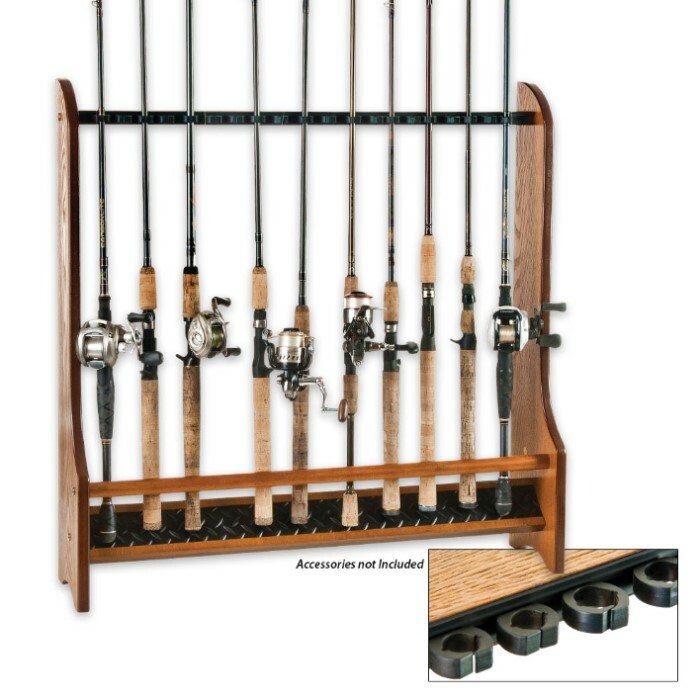 This adjustable system allows you to custom fit rods and combos in the rack to maximize space. No other rack on the market offers this option. The clips are replaceable and interchangeable and this unit comes with twenty clips, in two sizes. Whether you are a professional angler or a weekend warrior, this product is the ultimate in function and value!